Often referred to the summer slide, learning loss over the summer is a real thing! In the summer, your child tends to be out of the classroom and away from a learning environment. Studies have shown that students often end summer break at a lower academic level compared to the start of summer break. This can happen to your preschooler as well. 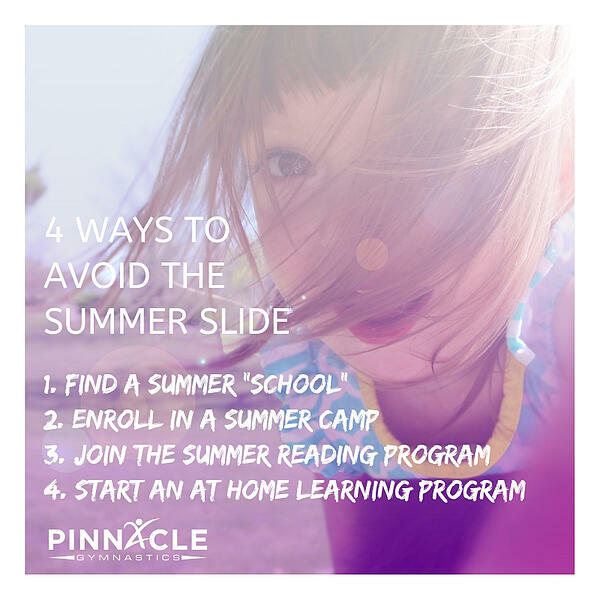 Here are some tips and tricks to avoid the summer slide for your preschooler and school aged child alike! What is Happening During the Summer Slide? 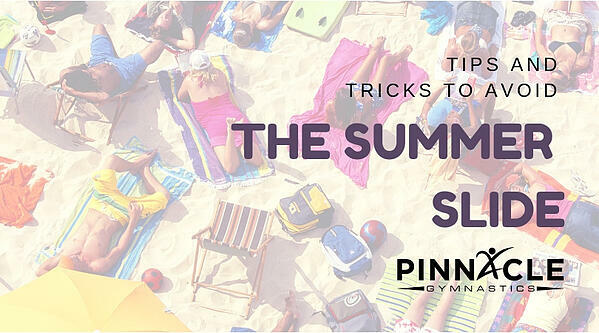 This phenomenon has been studied over and over by teachers and educators to try and figure out what happens during the summer months and how to combat the issue. 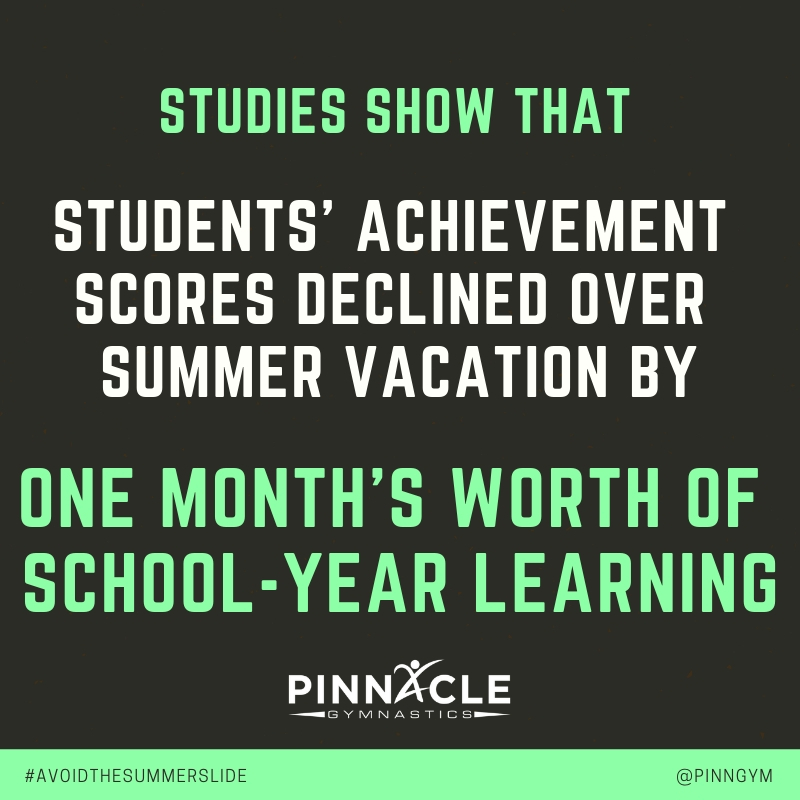 Studies show that students' achievement scores declined over summer vacation by one month's worth of school-year learning. There is a small correlation between social-economic groups, typically children from lower income families saw a larger slide than middle and upper income families. However, the slide did still happen for all students and across all ages. The thought behind this issue is simple, when removed from an academic environment, education is lost. During the summer break time frame, your child goes from having a day full of academic stimulation and learning to a day of swimming, playing outside, and lounging around the house. While it is incredibly important to have your child build these experiences, it is also important to make sure your child has academic stimulation as well. When removed from academic resources, students simply start to regress. Now What? Ways to Combat the Summer Slide! Now that you are aware of this issue, it is time to do your best to help limit your child's academic loss. You want to make sure your child is entering the next year of school ready and able to learn. The idea is not to reteach what has been taught, but instead establish a growth mindset for your child and keep their brain active and focused on learning. Use these different activities to help continue your child's education and build the strong foundation for the following year. Find a Preschool or Summer School Option: Summer school tends to get a bad reputation. Often school districts will offer classes that are geared towards your little one's interest, including LEGO building, STEM activities, and more, through the summer school program. If your child is of preschool age, check out either your preschool or another, new preschool to try. You may find one that has some unique programs and helps your child continue to learn. Summer Camps: While similar to the summer school idea, try to find camps that foster your child's educational learning. Camps typically run for a week at a time, and offer an immersive experience into a fun theme or activity. When building your child's educational skills, try to find ones that challenge your child to think and experience things outside of the box. Reading Program at the Library: Every local library I have been in has a summer reading program. Some challenge for a number of books, other to read different types. This program not only encourages you to visit the library and discover something new, but also helps your child with something to do at home. Encourage your child to pick up a book, even in the summer. Home Based Programs: This one is completely up to and reliant on the parent. Build your own summer program at home, complete with challenges across many areas of study, focused time, interactive learning, and so much more. Let your child help guide the learning process and allow them to lead the learning towards what they are interested in! The summer slide is real, but easily avoided. It will take a bit of extra time to make sure your child is being focused and challenged academically over the summer, but with a little extra effort, your child will be ready to shine when they return to school in the fall! It will make your child's first parent teacher conference a breeze (tips for parent teacher conferences here). Remember, it is not about reteaching what your child already knows, but opening their mind to learning and keeping a growth mindset over the summer. When a child's brain is ready to learn, it can do anything!